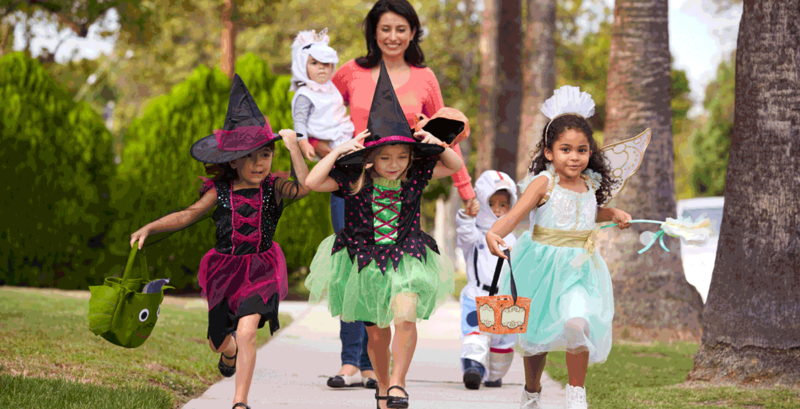 Keeping kids safe during their trick-or-treat fun is paramount. For drivers, it’s important to pay extra attention to the festivities on streets and sidewalks as pedestrian traffic increases during this holiday. The risks for young trick-or-treaters increase as excited children often forget about safety, meaning motorists and parents must be even more alert. Halloween masks can limit a child’s vision, making it harder to see approaching vehicles, while long, billowy costumes can increase tripping hazards. • Do not use a cell phone while driving through neighborhoods. • Stay well below the posted speed limit. • Pay attention to what’s happening on sidewalks and roadways. Watch for children darting across streets, especially between parked cars. • Be extra alert when pulling in and out of driveways. • Do not assume children can see you or are paying attention. • Drivers should also check that all lights on their car work. • Do not pass other vehicles that have stopped in the road. They may be dropping off or halting for children. • If you’re driving a group of children, but staying in the running vehicle at the curb, be sure to put on your hazard lights to alert other motorists.